Internationally acclaimed artist and Art, Theory, and Practice faculty member Michael Rakowitz explores culture as it is embodied in artifacts. 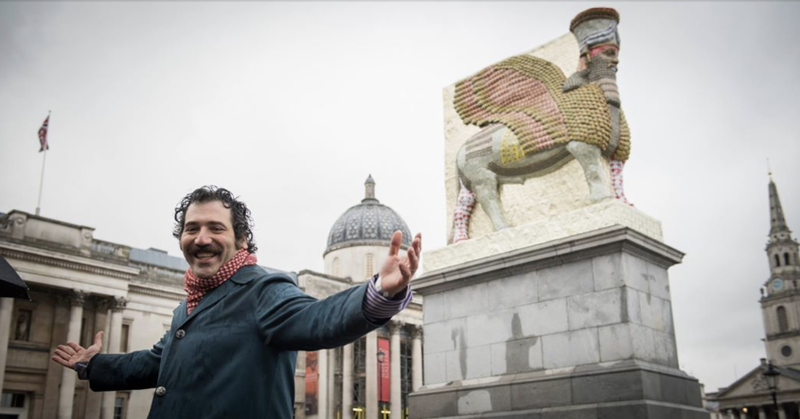 In projects ranging from a recreation of the Ishtar Gate of ancient Babylon to selling dates in an NYC storefront, he has used both food and material fragments to recreate and reimagine cultural and personal histories, particularly related to his Iraqi-Jewish cultural heritage. Drawing upon his own artistic practice and the exhibition Caravans of Gold, Rakowitz will consider cultural loss and removal as well as counter-histories and narratives in artistic practice. He will be joined in conversation by Kiersten Neumann, Curator at the Oriental Institute and Ann Gunter, Bertha and Max Dressler Professor in the Humanities, whose work addresses the visual and material culture of the ancient Near East and its Eastern Mediterranean neighbors. Presented by The Block Museum in partnership with the Departments of Art History and Art, Theory, and Practice, and the Oriental Institute.